Roque Matagulay was born on October 3, 1931, in Agat Village, Guam. As a child he was interned by the Japanese on Guam during World War II, and he enlisted in the U.S. Army on February 1, 1951. He attended infantry training at the Hawaiian Infantry Training Center from March to June 1951, and then served in combat with Company I of the 5th Cavalry Regiment in South Korea from July 1951 to June 1952. SFC Matagulay served with the 53rd Field Artillery Battalion of the 6th Infantry Division at Fort Ord, California, from September 1952 until he left active duty on February 3, 1954, and then reenlisted in the Army on March 8, 1954. His next assignment was as a light weapons infantryman with the U.S. Army Garrison at the Presidio of San Francisco, California, from March to September 1954, followed by service as a light weapons infantryman with Company A of the 8th Infantry Regiment in West Germany from November 1954 to May 1956. SFC Matagulay served as an armor intel specialist with Company B of the 14th Armored Cavalry Regiment in West Germany from May 1956 to August 1957, and then served as Platoon Sergeant with Company C, 9th Battle Group of the 3rd Brigade at Fort Ord from August 1957 to March 1958. His next assignment was as Operations NCO for Company A of the U.S. Army Garrison at the Presidio of San Francisco from March 1958 to January 1962, and then as an Advisor with the U.S. Army Element of the Military Assistance and Advisory Group in South Vietnam from February 1962 until he was captured and taken as a Prisoner of War on July 23, 1962. After spending 155 days in captivity, SFC Matagulay was released on December 24, 1962. He was briefly hospitalized to recover from his injuries at the Presidio of San Francisco, and then served as Platoon Sergeant and First Sergeant with Company A and then Headquarters Company with the U.S. Army Garrison at the Presidio of San Francisco from May 1963 to May 1968. 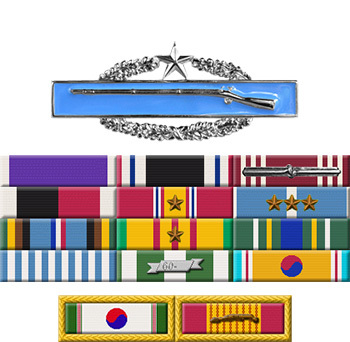 His next assignment was as Senior Instructor with Company C, 2nd Battalion of the 38th Infantry Regiment in South Korea from June to November 1968, followed by service as First Sergeant of 2nd Battalion of the 72nd Armor Regiment in South Korea from November 1968 to June 1969. MSG Matagulay's final assignment was as Senior Drill Sergeant with Company C, 2nd Battalion of the 4th Combat Support Training Brigade at Fort Ord from August 1969 until his retirement from the Army on April 1, 1971. 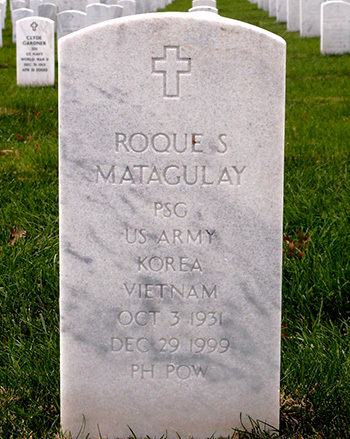 Roque Matagulay died on December 29, 1999, and was buried at Arlington National Cemetery.